CORINTH, Ky. -- People in southern Grant County say they're still struggling to get clean water 10 days after the taps went dry. The water's flowing again; the trouble now is what it looks like. The Corinth Water District comprises about 113 miles of water lines throughout Grant and Pendleton counties. 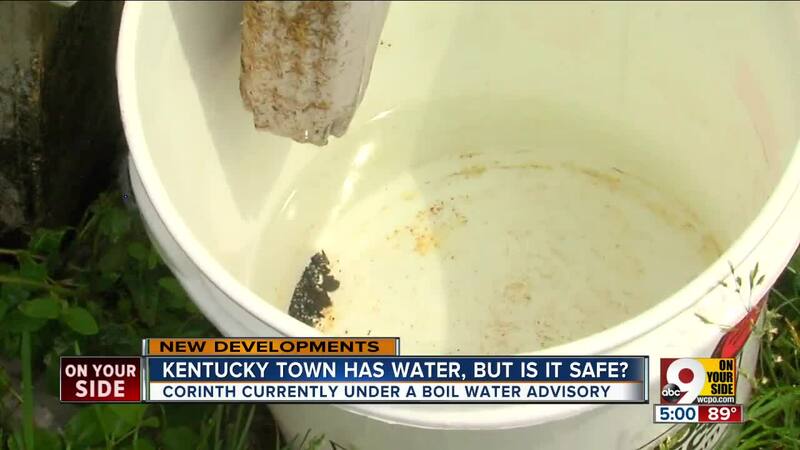 It serves the roughly 200 residents of small city of Corinth, Kentucky. According to the district, three huge sections of water line were washed out at a creek crossing. One family carried buckets from their pool to their bathroom to make sure the toilet flushed last week. The leaks were fixed by Thursday, but residents turned on their taps to find a cloudy-colored liquid coming out. Anthony Claypool said it was "milky." Water can sometimes look cloudy or milky when tiny air bubbles get trapped inside; that's more common in extremely cold weather. 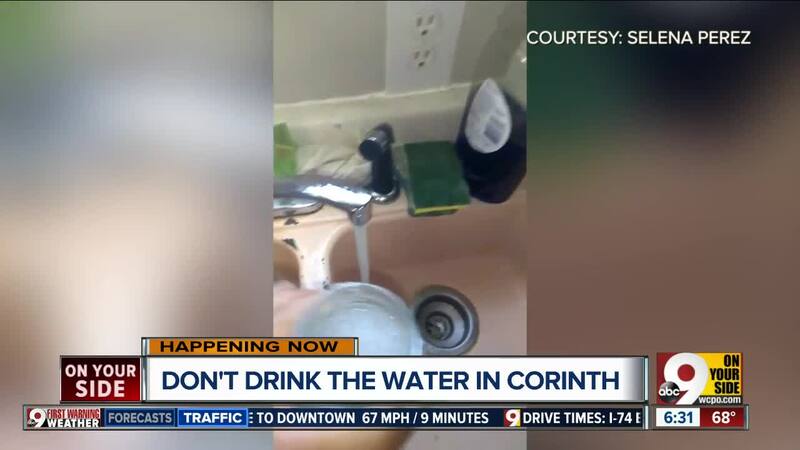 Corinth is still under a boil water advisory. 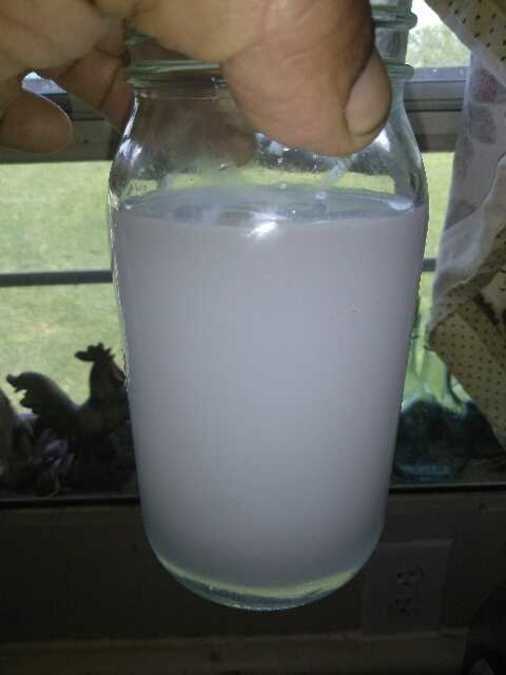 The Corinth Fire Department said Sunday residents shouldn't drink the tapwater until the city gets test results indicating it's safe. Officials don't expect to get results before Wednesday. In the meantime, bottled drinking water is available at the fire house, funeral home and the Corinth Water District office. Residents like Katelyn Courtney said it has been frustrating going so long without running water. "Every little thing you used to do at home, like cooking and cleaning, you can't do because you don't realize how valuable water is until you don't have it," she said. Courtney said her stock of water is quickly running out. "Rationing the water bottles amongst the animals and us and dinner, and it was just frustrating because they're all crying to you and you can't be like, 'Hey, there's no water, guys,'" she said. "You just kind of have to give it to them anyways."